Visual effect artists behind the science-fiction film "Dawn of the Planet of the Apes" and the fantasy TV series "Game of Thrones" were the big winners at the 13th annual Visual Effects Society's VES Awards Wednesday night. 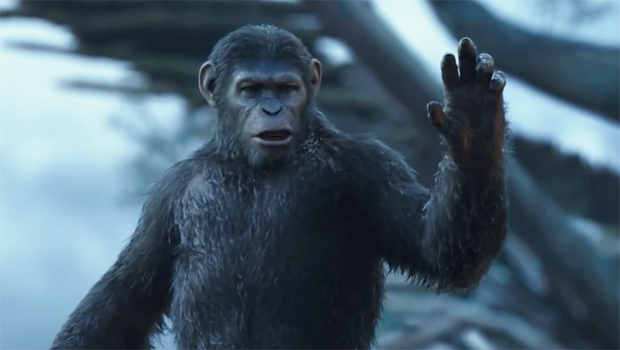 "Dawn" won three awards, including for character animation in a feature film, for Andy Serkis' Caesar. During the first 12 years of the VES Awards, the winner of the top film prize went on to win the Oscar nine times. To watch a featurette about the visual effects of "Dawn of the Planet of the Apes" click on the video player below. While "Apes" won the top award in the category of Visual Effects-Driven Photoreal/Live Action Feature Motion Pictures, the VES Award for Outstanding Supporting Visual Effects went to "Birdman." Disney's "Big Hero 6" won for Outstanding Animation in an Animated Feature Motion Picture. To watch a VFX shot breakdown reel for the fourth series of "Game of Thrones," click on the video player below. Outstanding Real-Time Visuals in a Video Game: "Call of Duty: Advanced Warfare"
Outstanding Visual Effects in a Commercial: "SSE: Maya"
Outstanding Visual Effects in a Special Venue Project: "Ratatouille: L'Aventure Totalement Toquee de Remy"
Outstanding Effects Simulations in an Animated Feature Motion Picture: "Big Hero 6"
Outstanding Effects Simulations in a Commercial, Broadcast Program, or Video Game: "Cosmos: A Spacetime Odyssey"
Outstanding Compositing in a Photoreal/Live Action Feature Motion Picture: "Dawn of the Planet of the Apes"
Outstanding Compositing in a Photoreal/Live Action Commercial: "SSE"
Outstanding Visual Effects in a Student Project: "Wrapped"